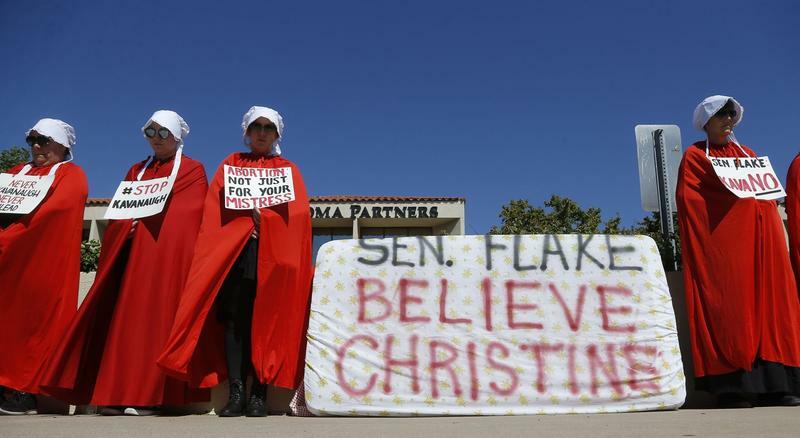 Several dozen demonstrators outraged by U.S. Sen. Jeff Flake's willingness to confirm Supreme Court nominee Brett Kavanaugh have gathered outside his Arizona office, some wearing the costumes of enslaved women portrayed in the dystopian novel and TV series, "The Handmaid's Tale." 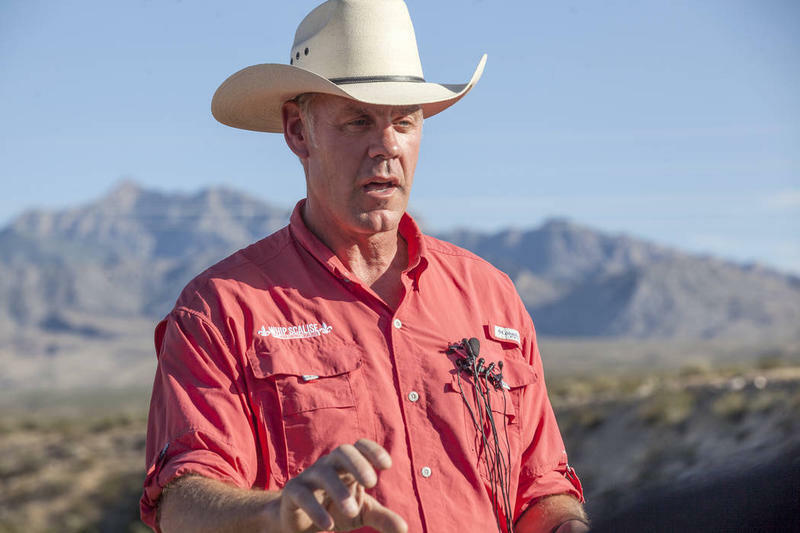 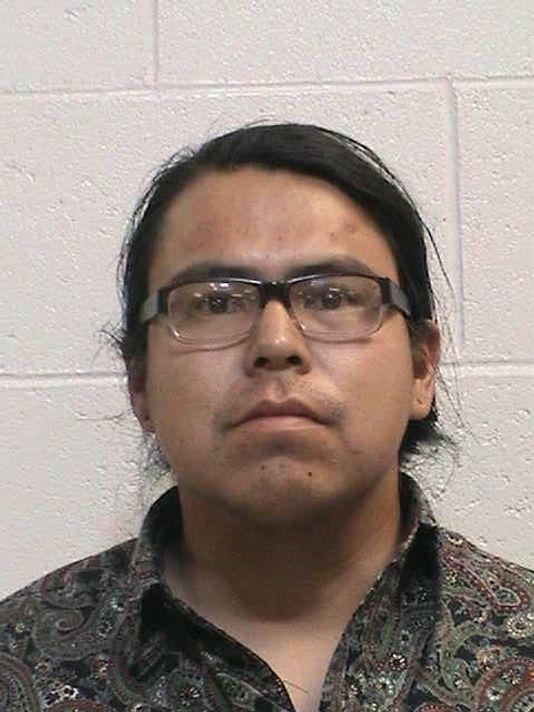 Sexual assault and false imprisonment charges against a New Mexico filmmaker have been dropped. 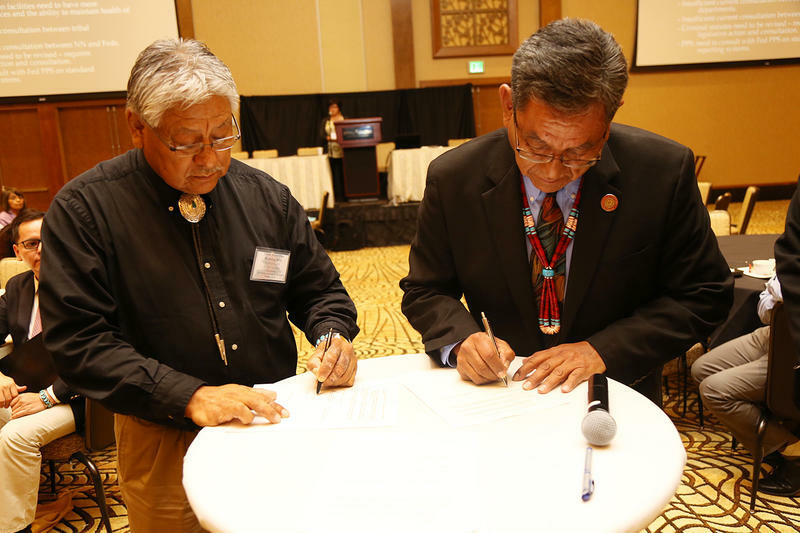 The president of the Navajo Nation has signed an order mandating sexual harassment training for all executive and judicial employees.  As Arizona Public Radio’s Ryan Heinsius reports, it comes after a Navajo Council delegate claims she was harassed by other elected officials.